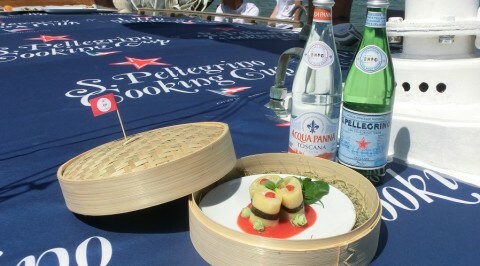 The fifteenth edition of the event, which brings together fans of sailing and haute cuisine, was held Saturday, July 11 in Venice. 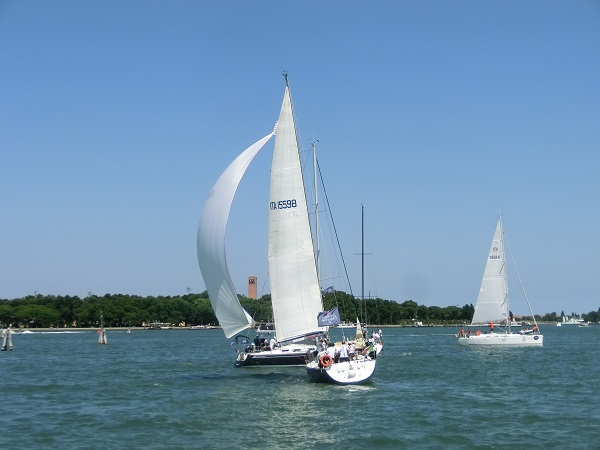 10 miles of race (from Port of Malamocco to Island of San Giorgio) for 30 boats, with many chefs on board – all Italians, unlike previous editions. The focus was on sustainability and recycling of leftovers. 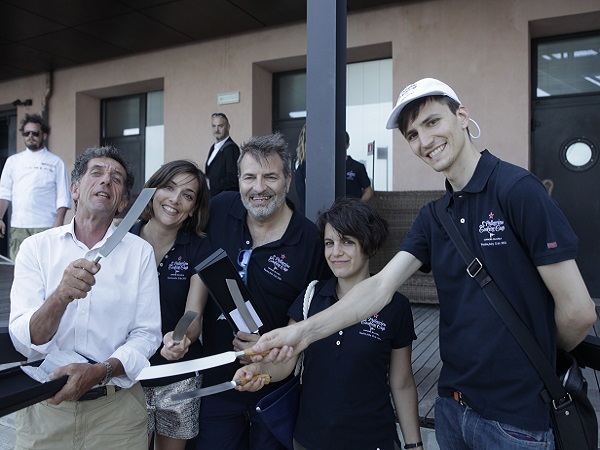 In addition to the “canonical” criteria – goodness, difficulty of execution, pairign with wine – the dishes prepared by the chefs were also judged according to what they were projected into the future, consistent with a healthy and sustainable, and created a un-waste concept. The recipes, then, tried to use mainly cereals, legumes and vegetables, leaving meat and fish only as boundary elements. And of course avoiding any waste and enhancing the leftovers, like stale bread.